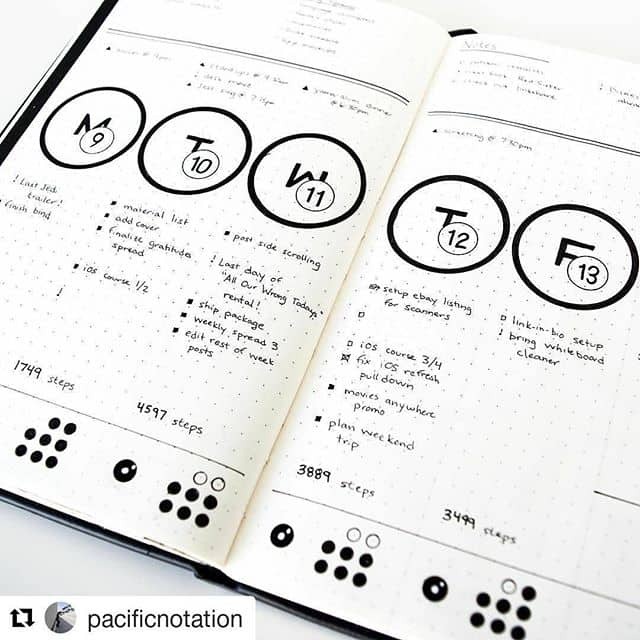 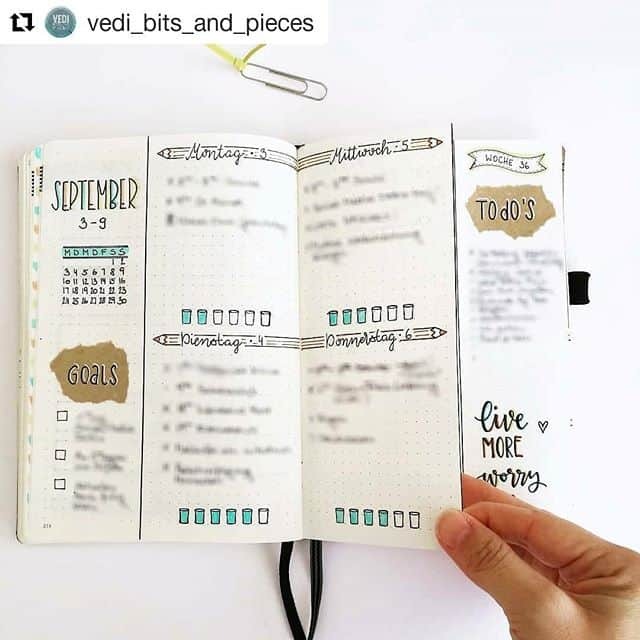 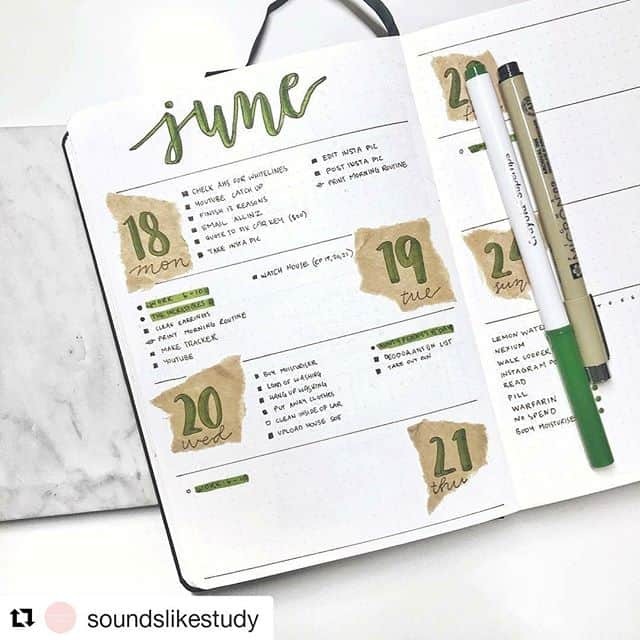 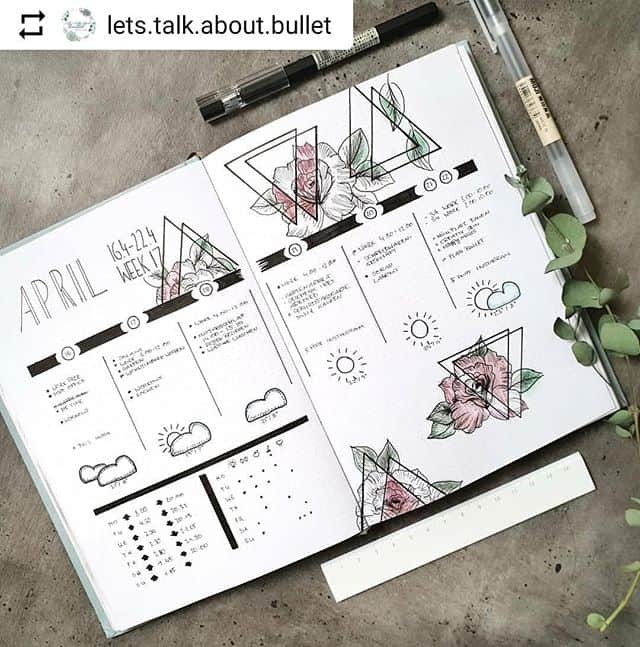 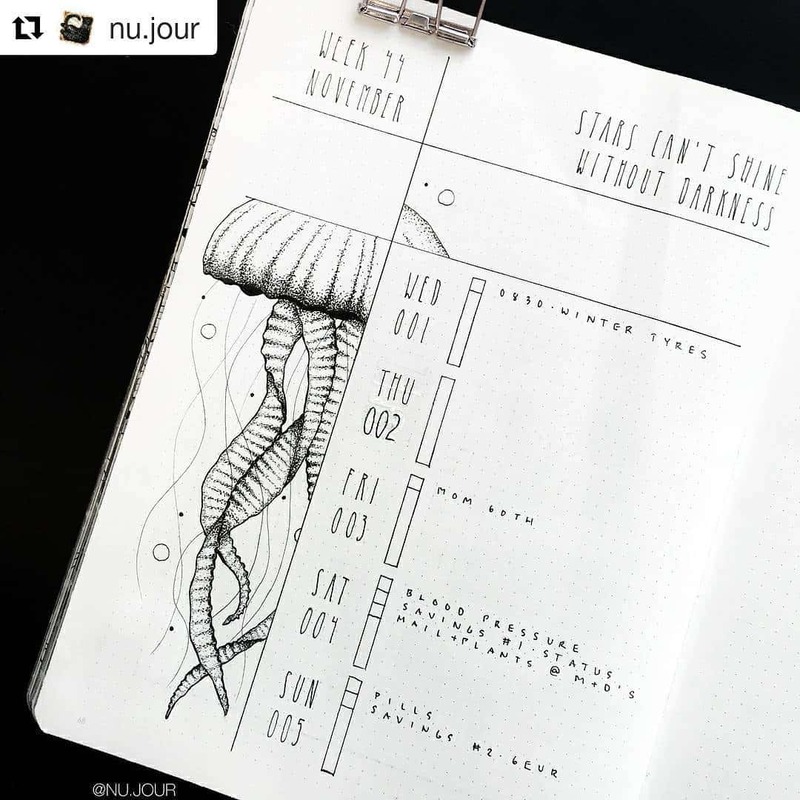 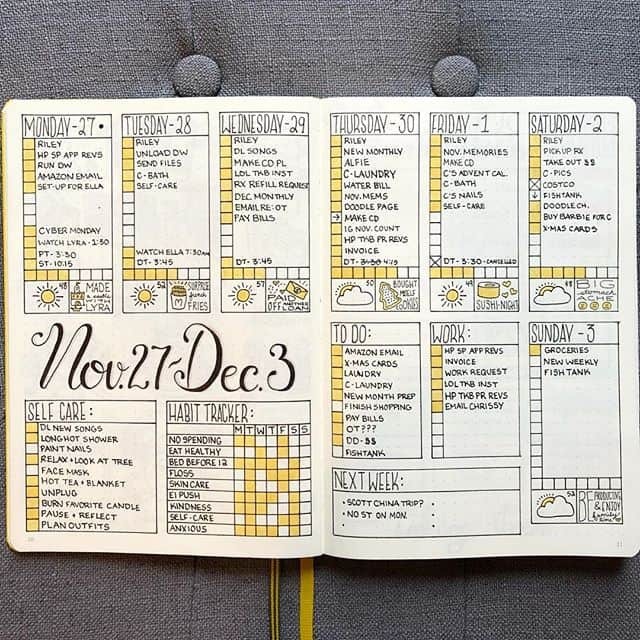 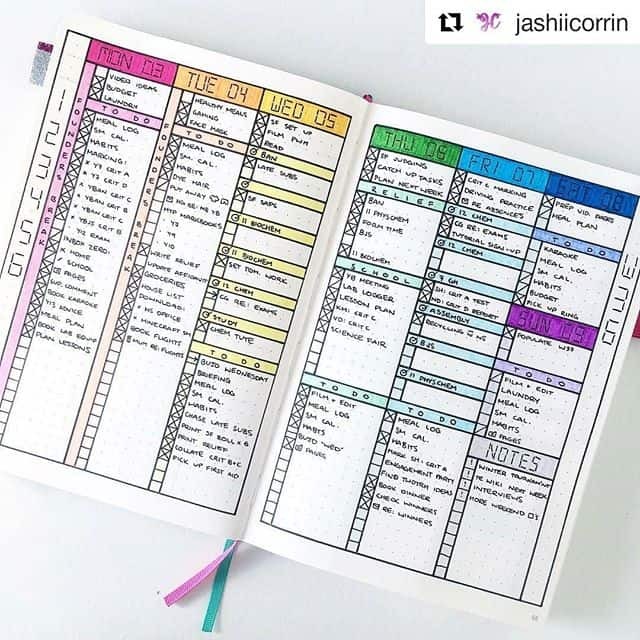 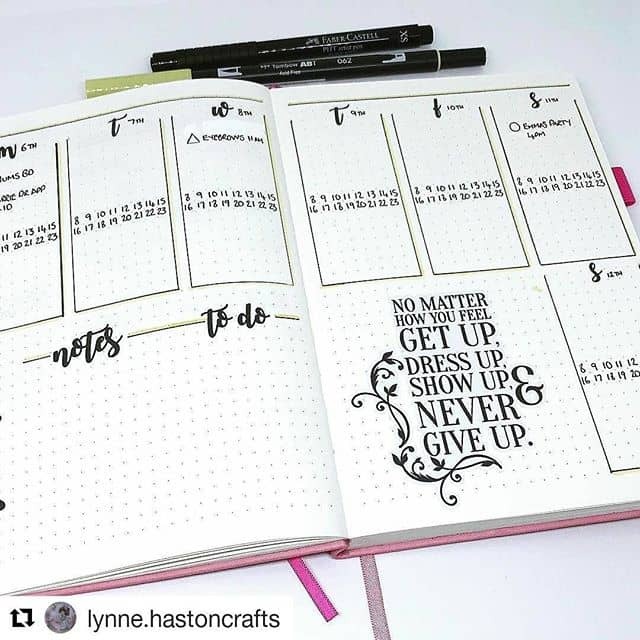 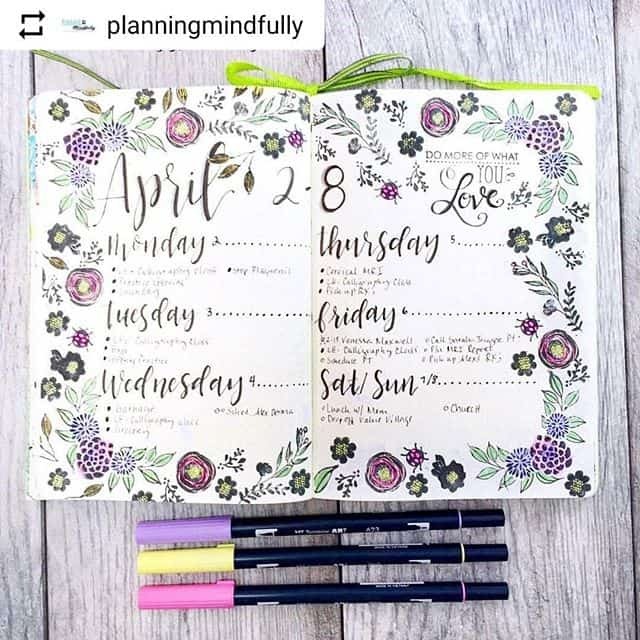 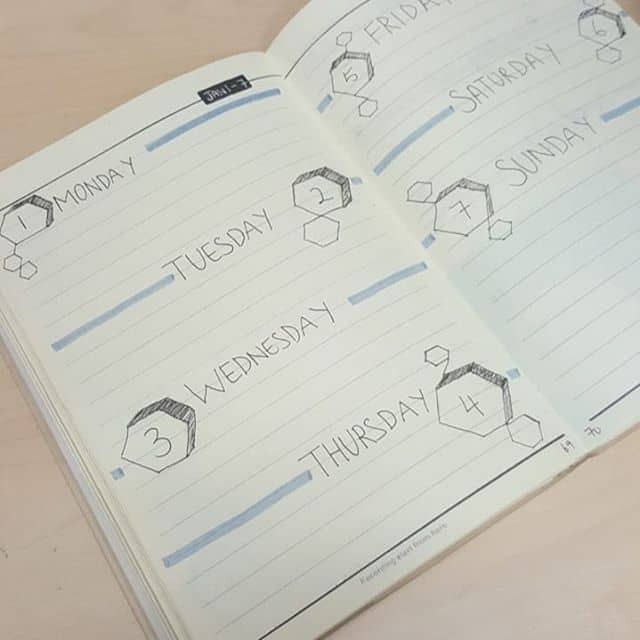 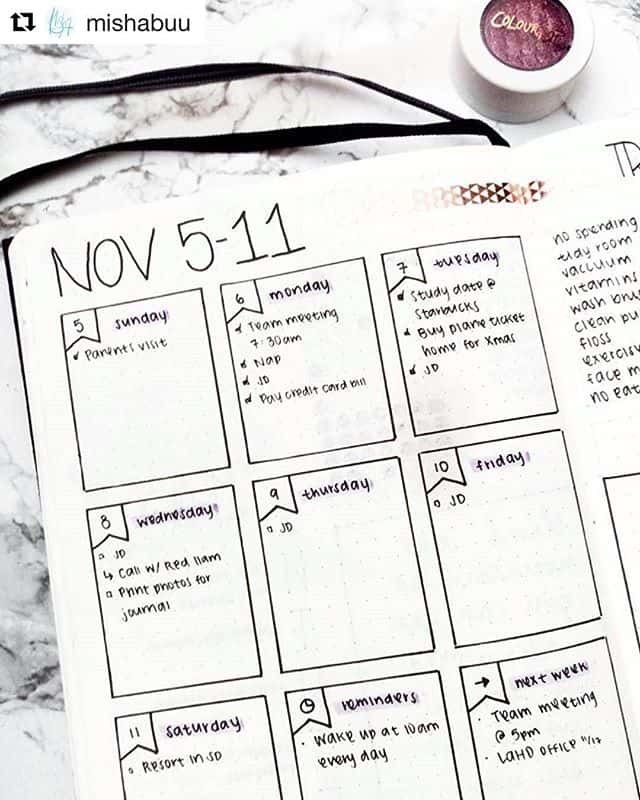 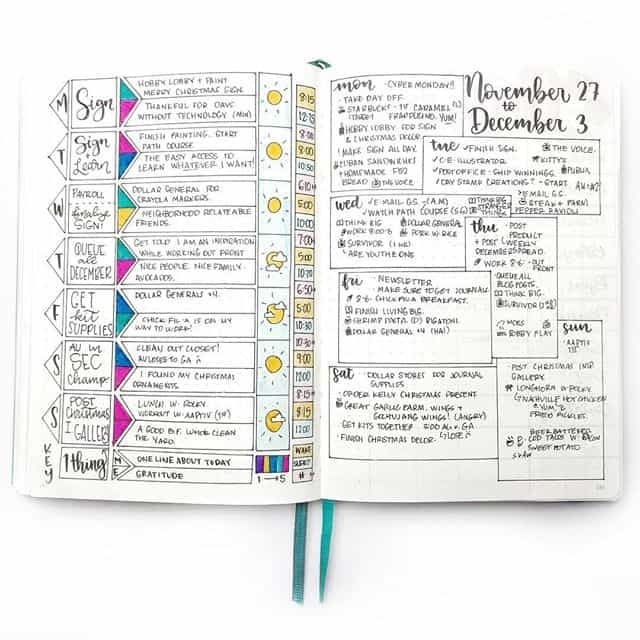 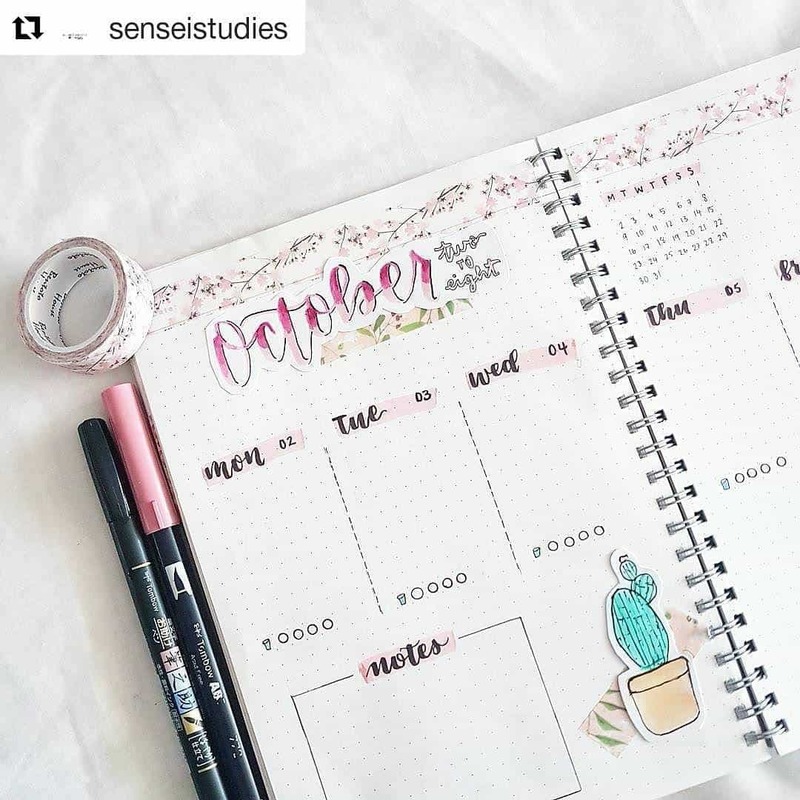 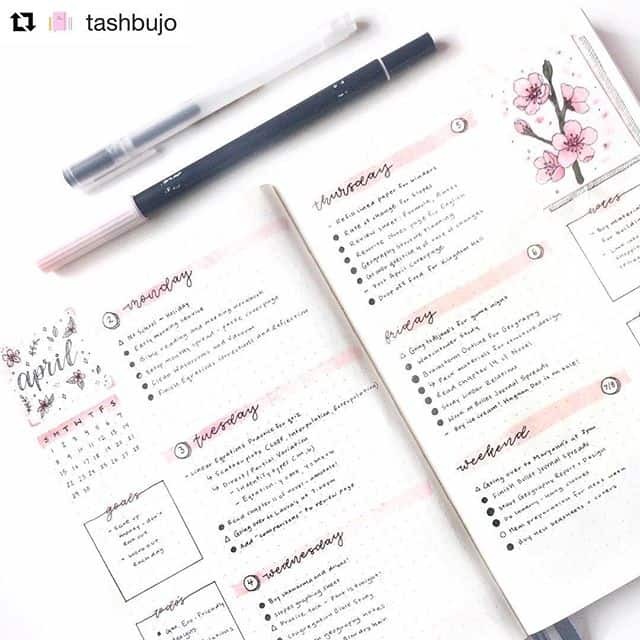 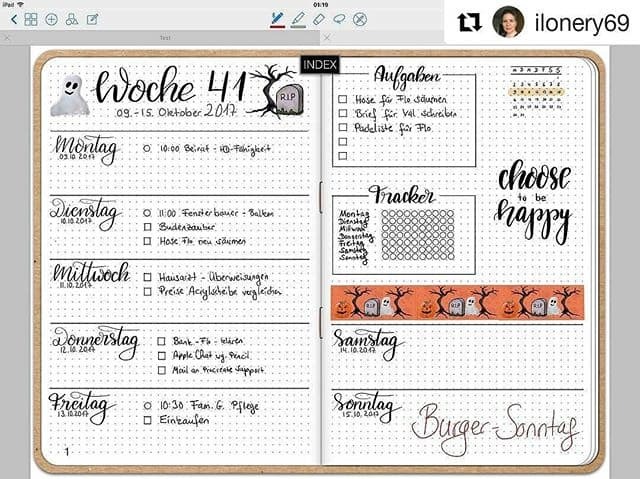 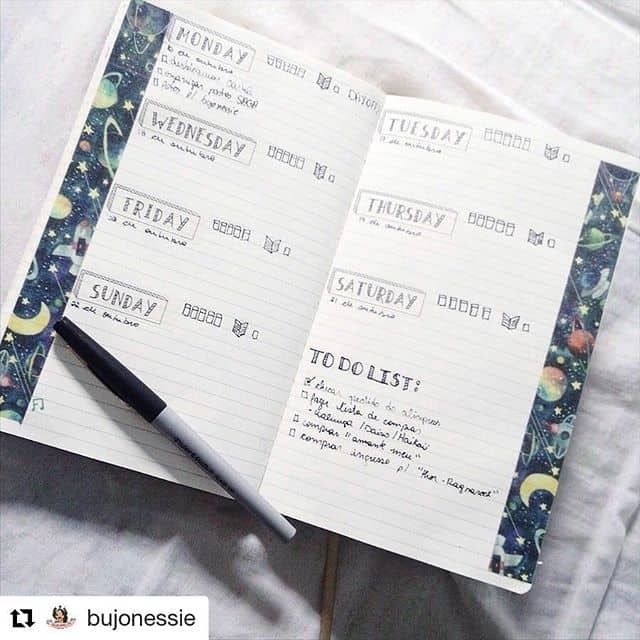 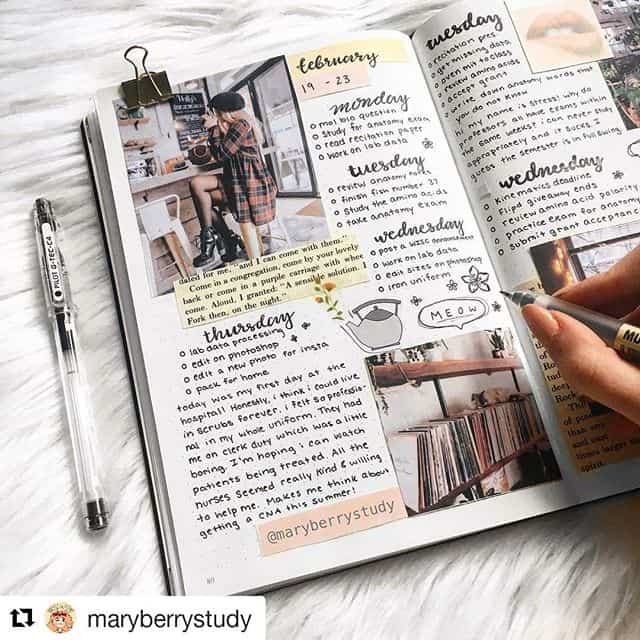 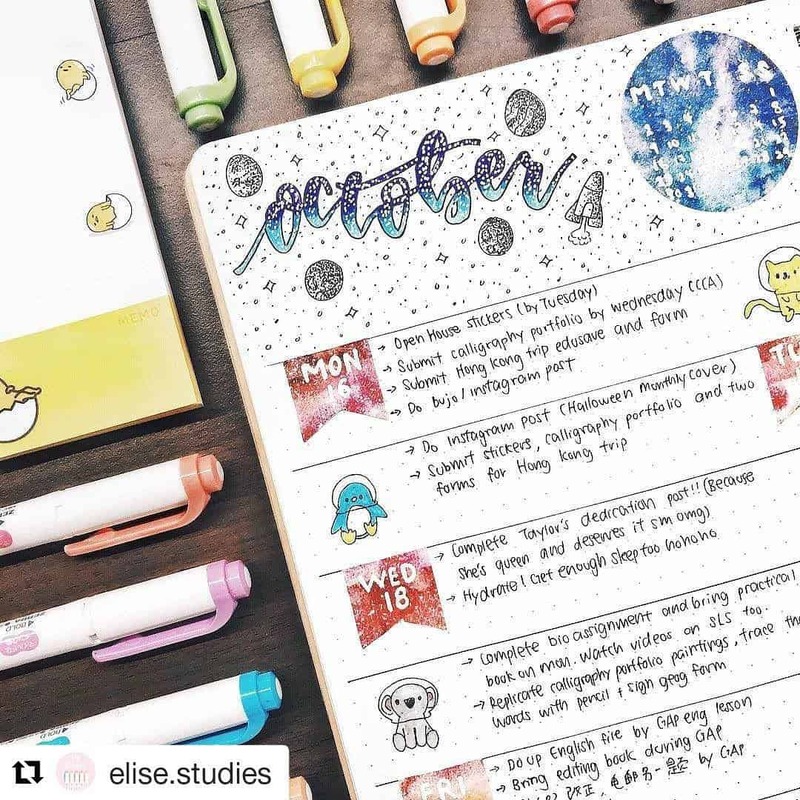 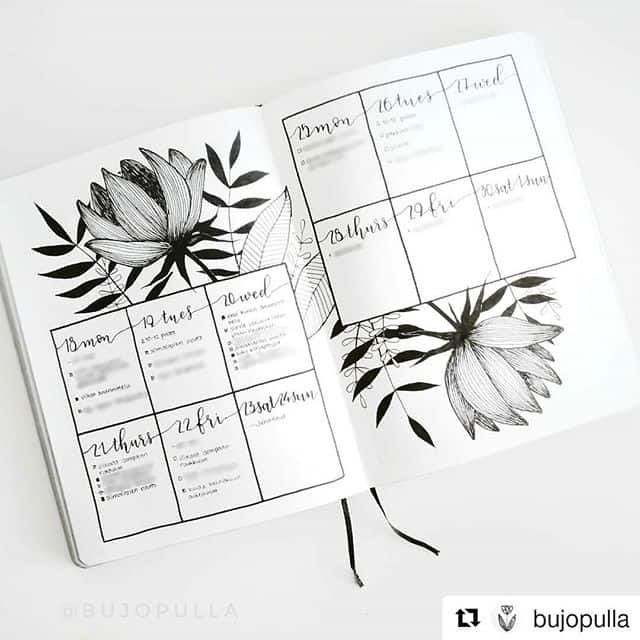 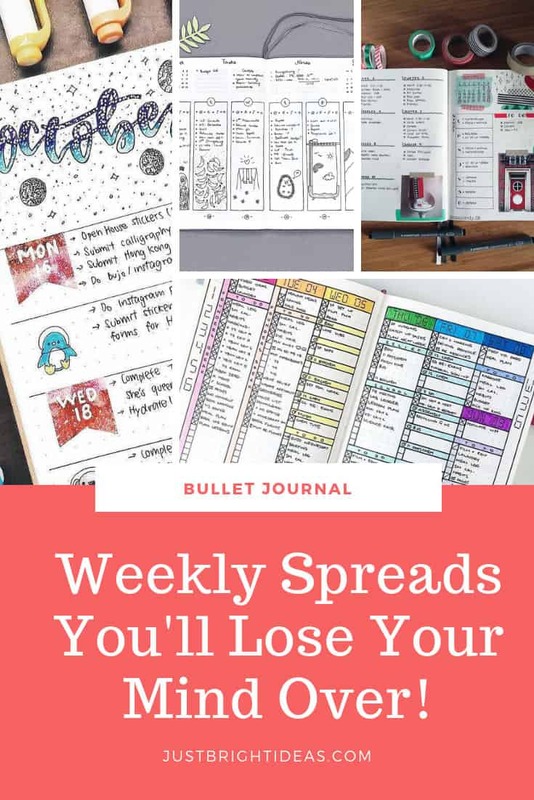 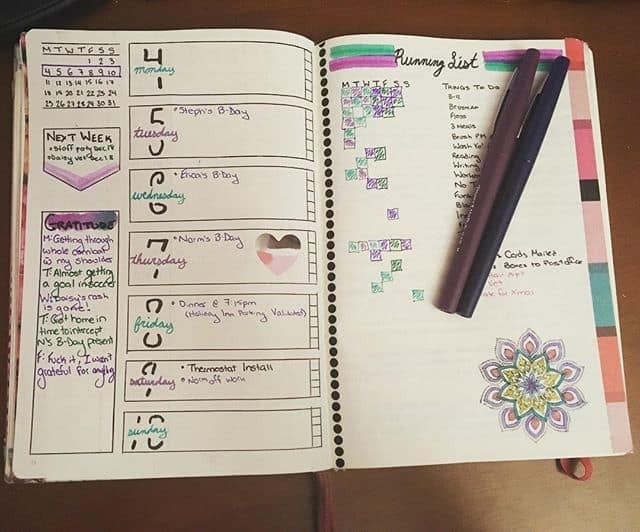 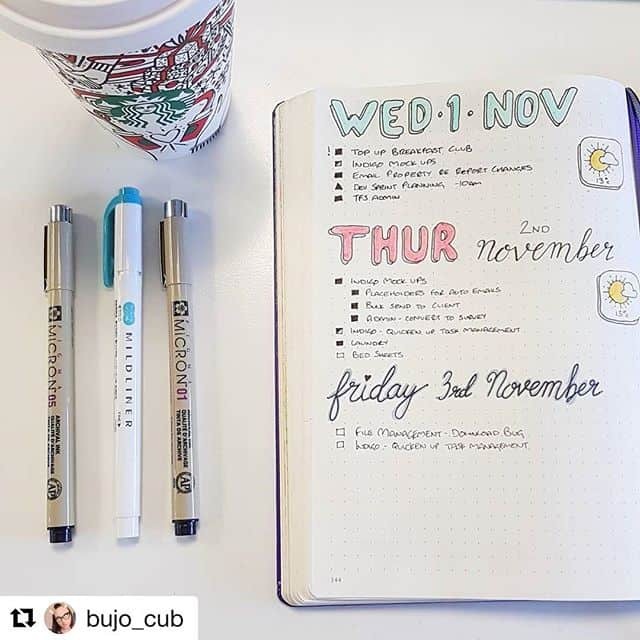 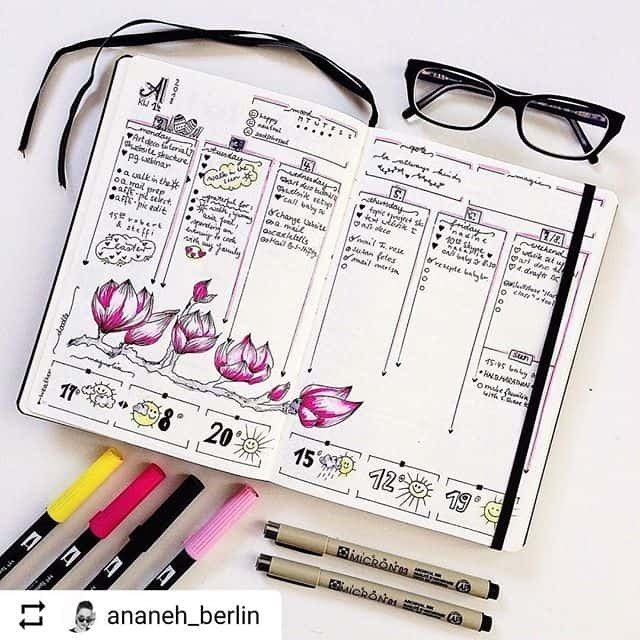 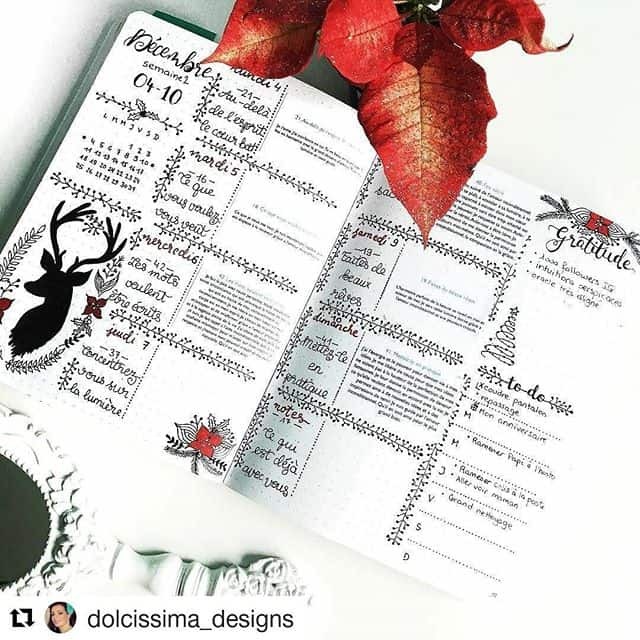 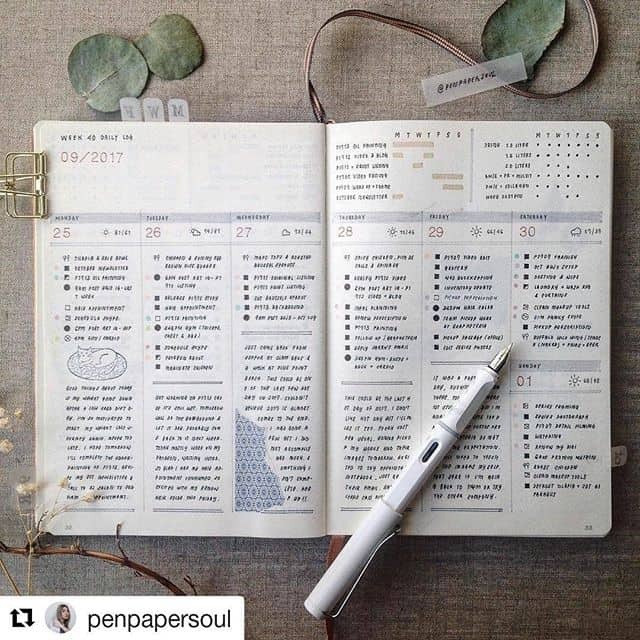 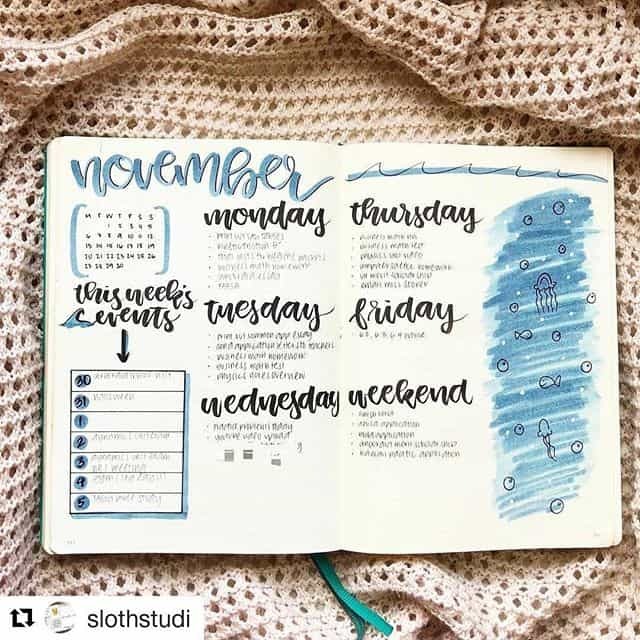 Last week I shared Bullet Journal tracking spreads to try this year as part of your Bullet Journal set up and that list has gone viral, so today I wanted to inspire you with some amazing bullet journal weekly spread ideas. 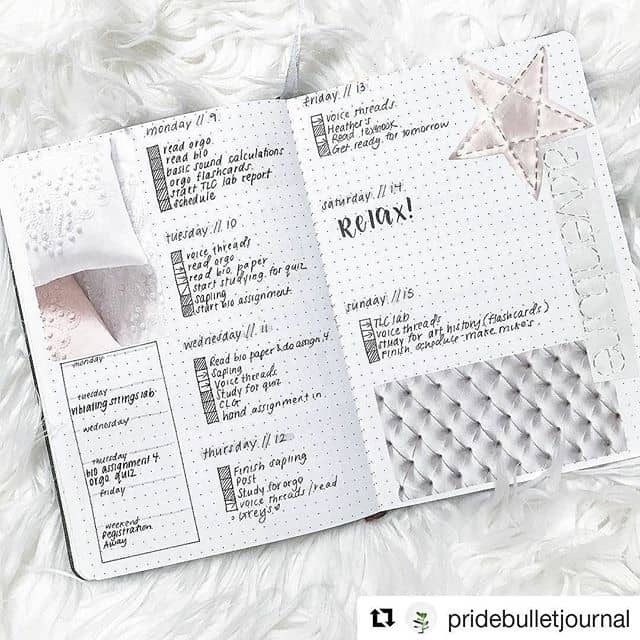 When I first started my Bullet Journal I followed the official instructions to get started and while I had a functional list of tasks it looked pretty boring. 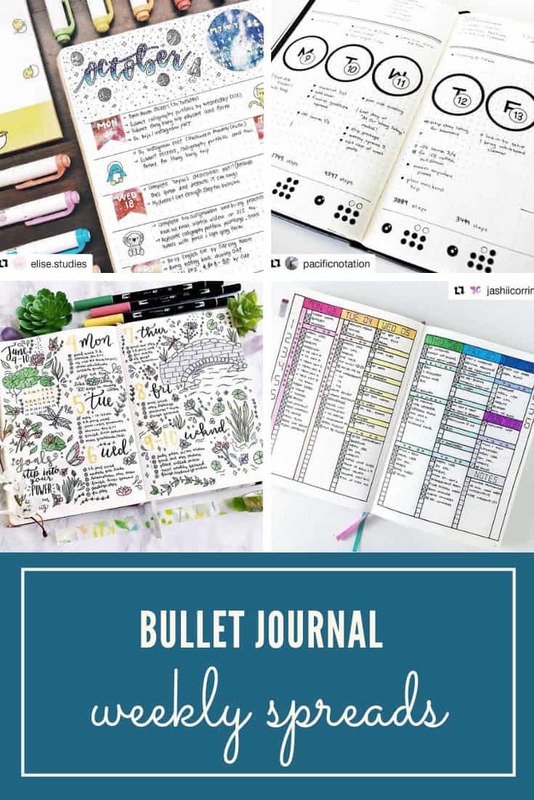 And then I discovered a whole world of creative people who make their bullet journals much more engaging! 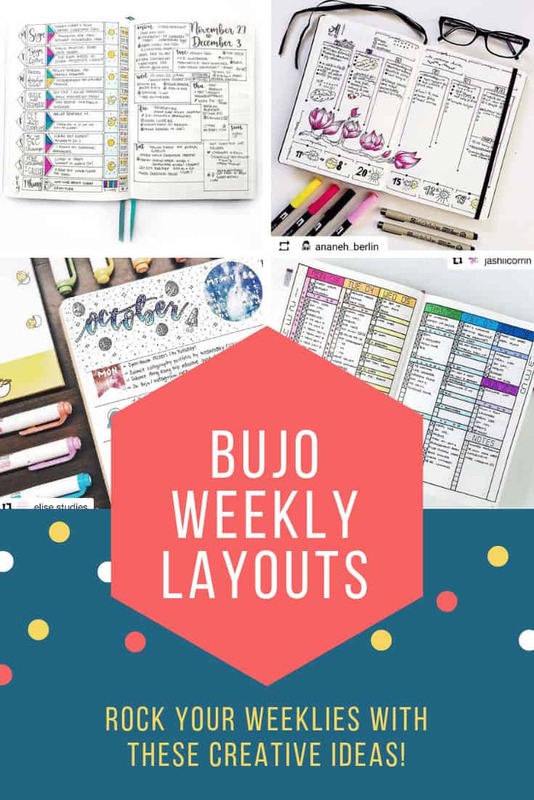 I headed over to Instagram and picked out some of my favourite weekly layouts to inspire you. 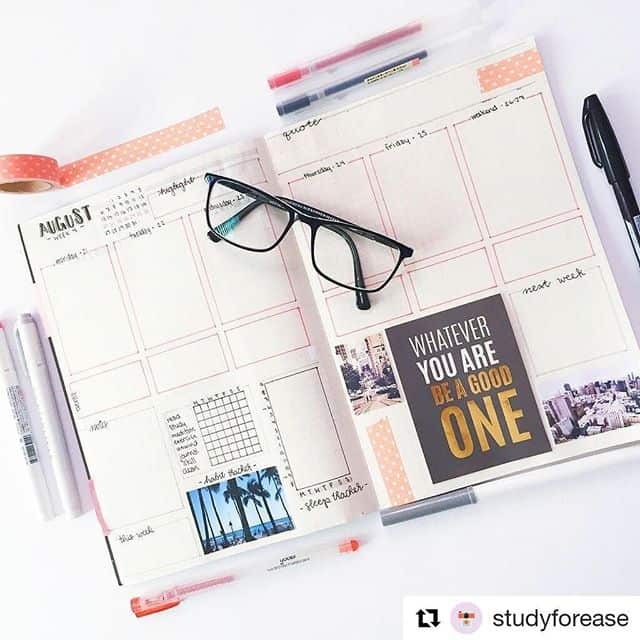 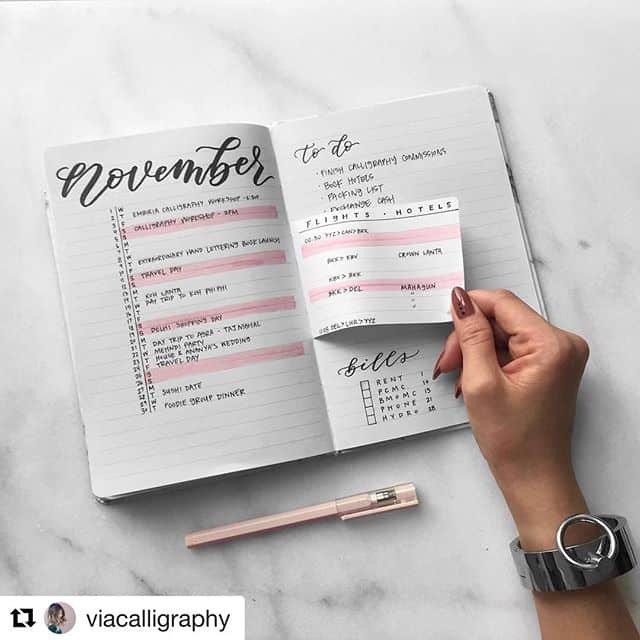 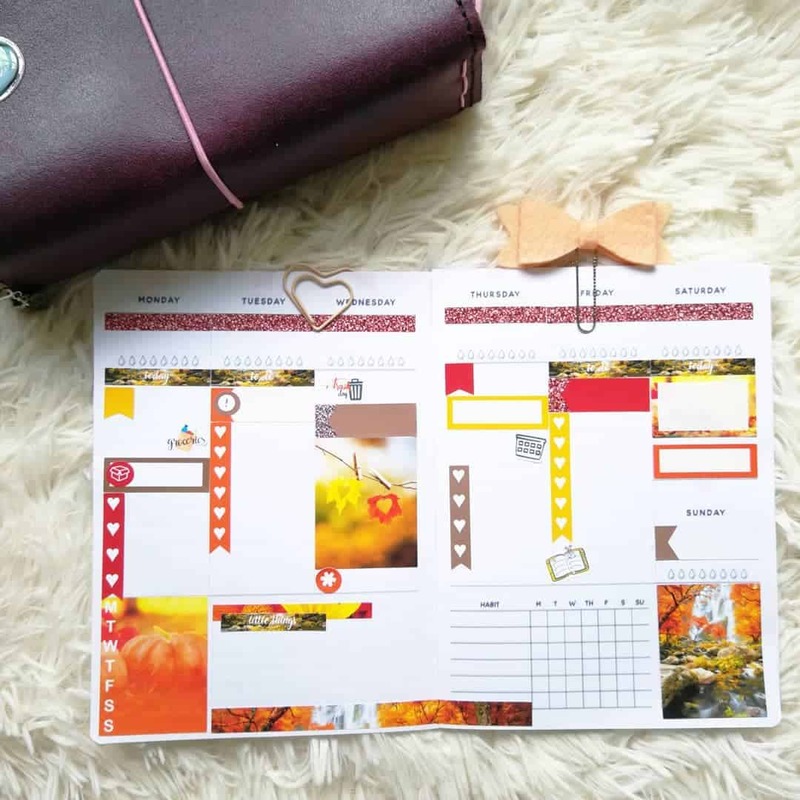 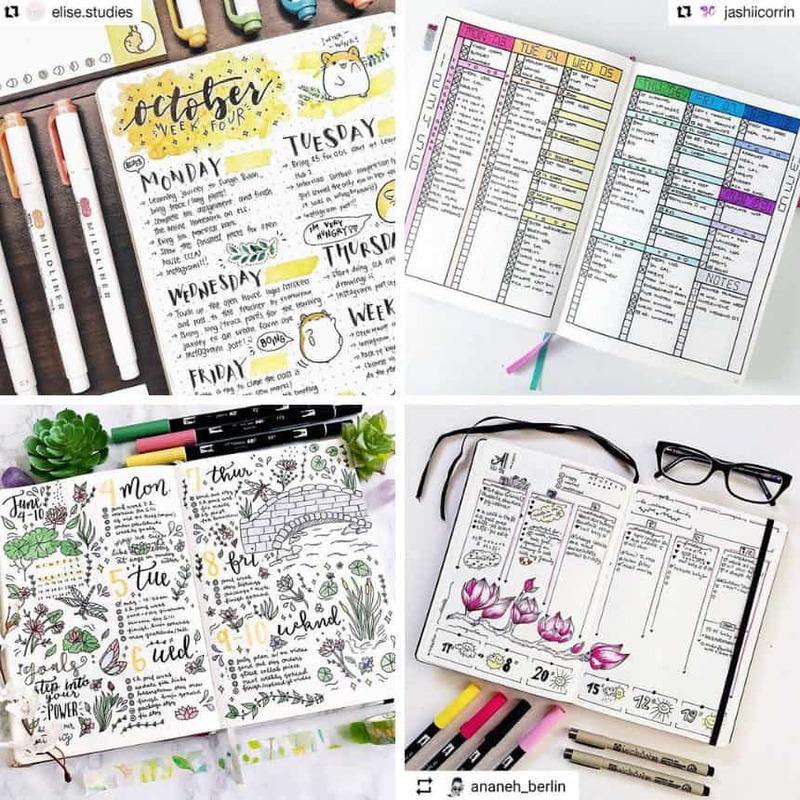 Whether you’re tying to decide between horizontal or vertical layouts, or whether you should include journaling, washi tape or even photographs let these ideas inspire you to switch you your own layout next week! 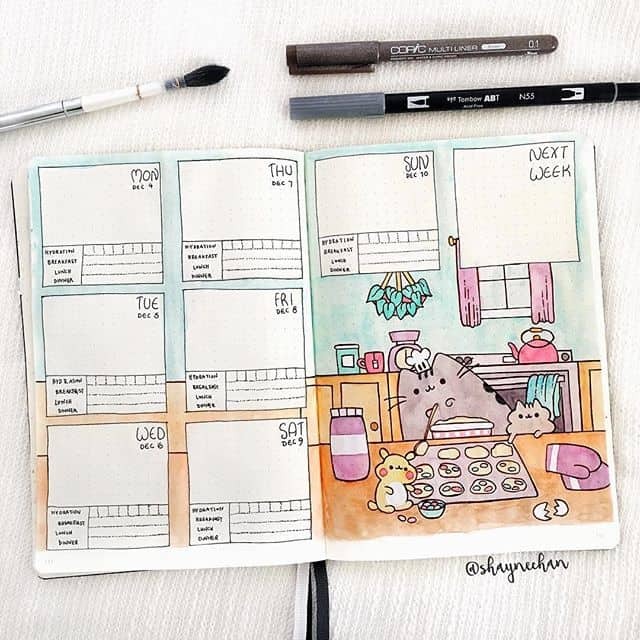 Bring your weekly spread to life with an illustration! 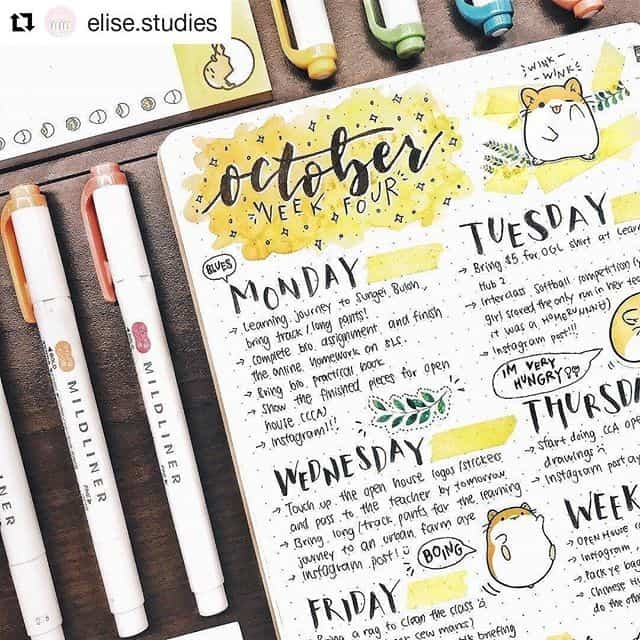 This creative weekly spread has room for gratitude and journal notes too! 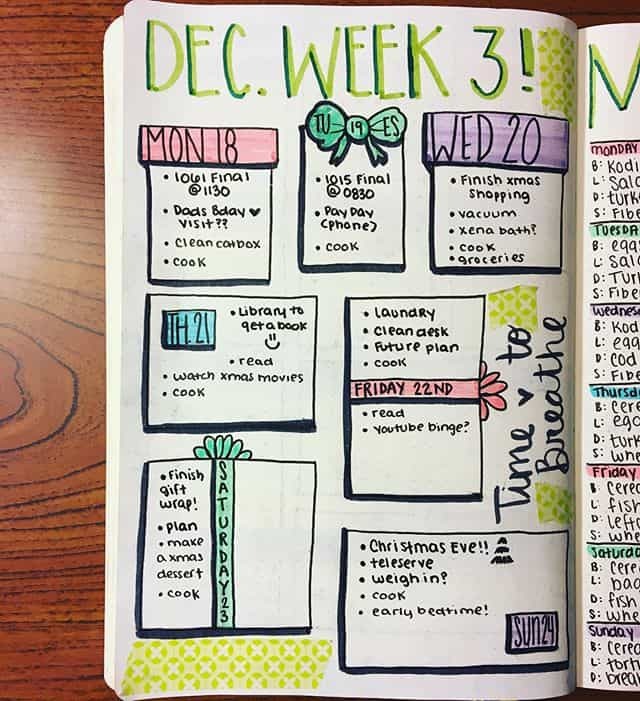 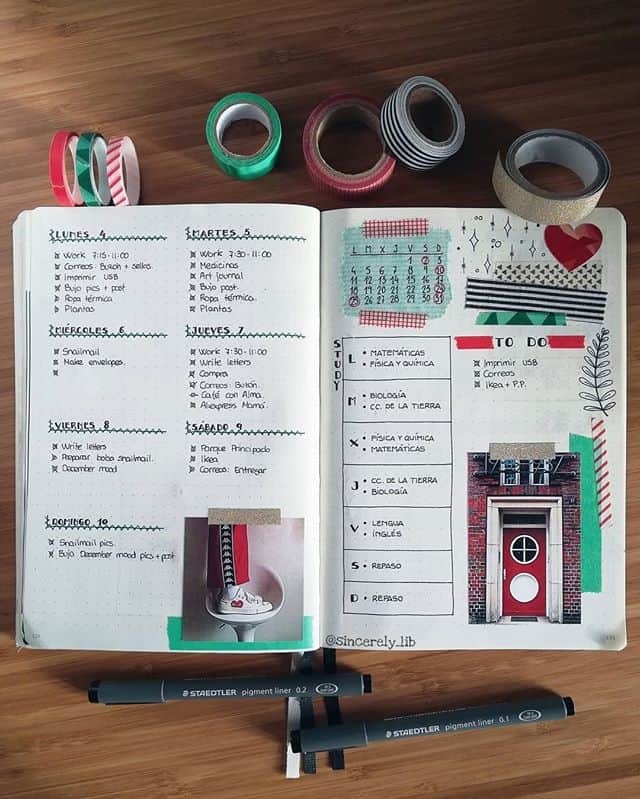 Love this festive weekly for the Holiday season! 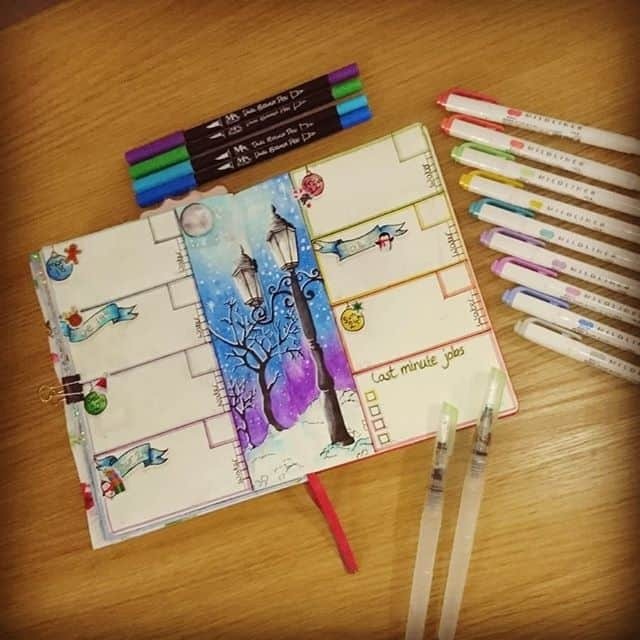 Or try this if you need lots of room to write things down! 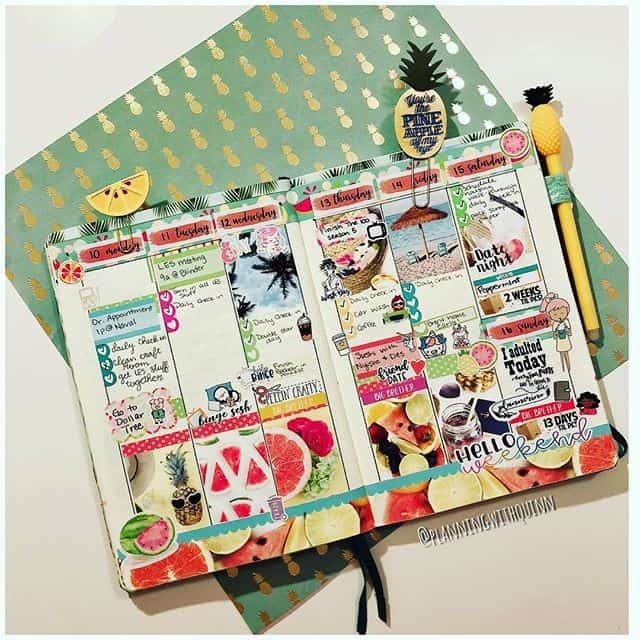 Or go crazy with the stickers! 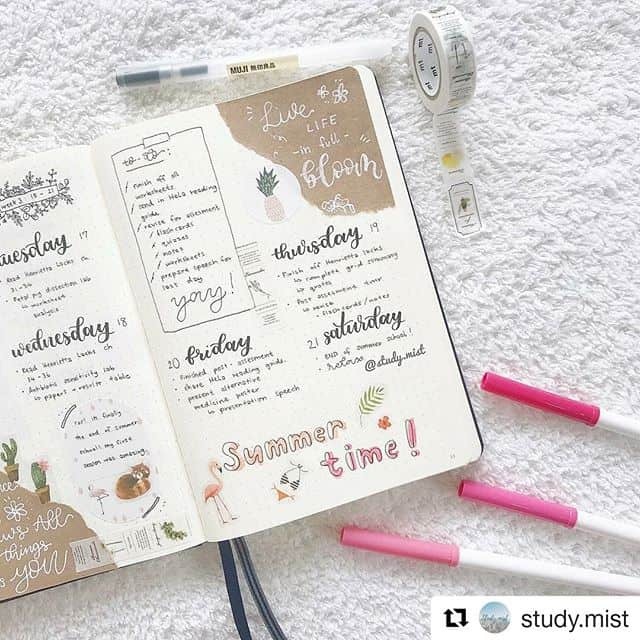 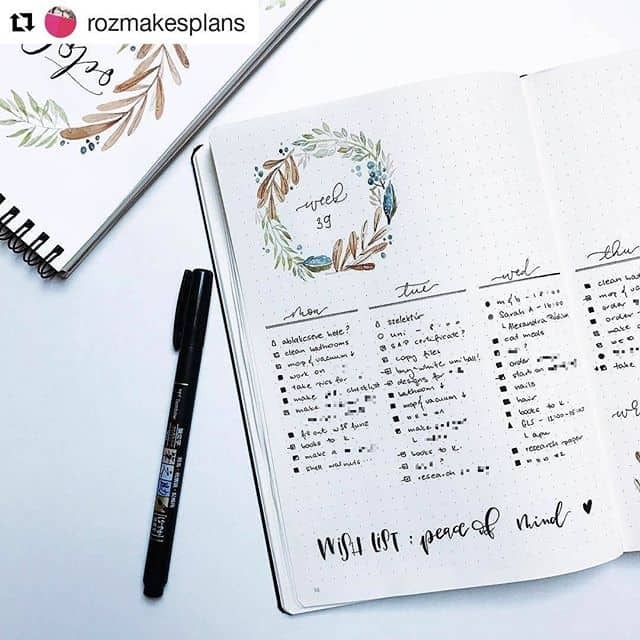 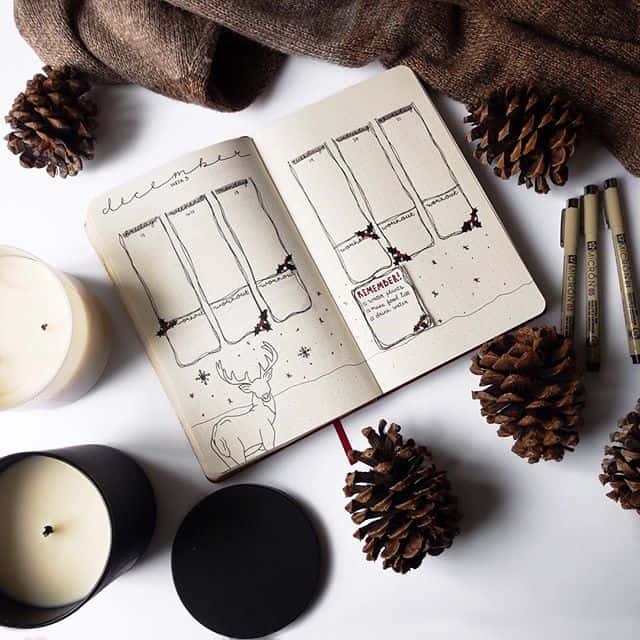 Or make room for doodles, goals, notes and still have plenty of space for your weekly! 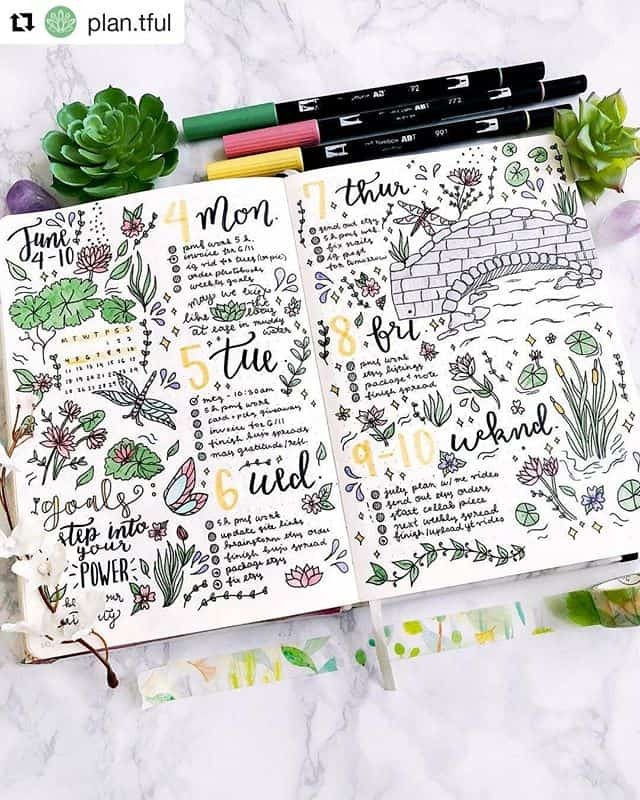 If floral is you’re thing you’ll love this weekly spread! 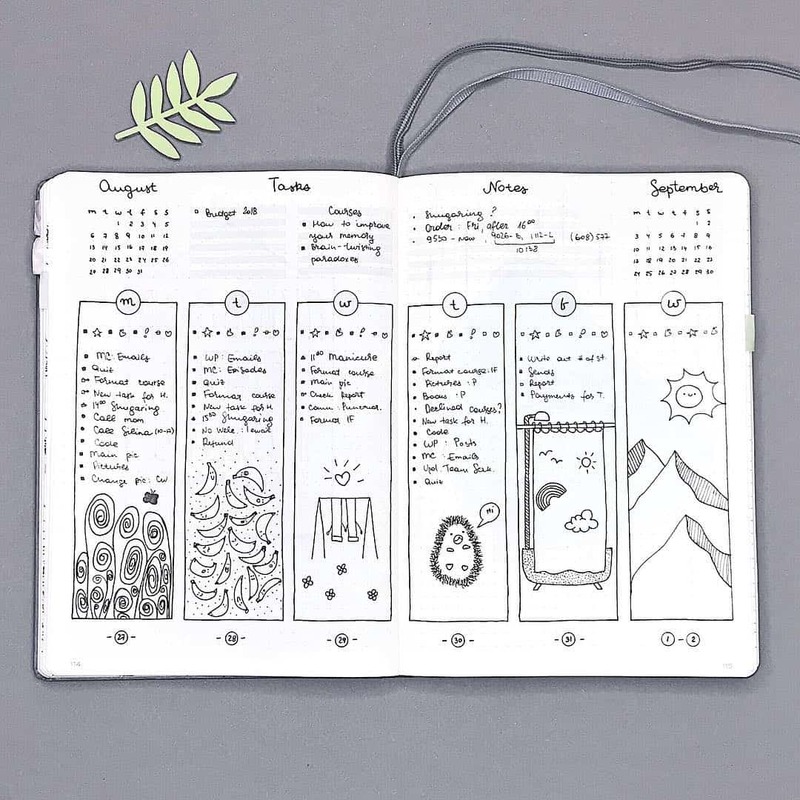 Or try this if you like to track the weather and the temperature!